El Dorado Schools are honored to recognize the service of our military veterans by providing an opportunity for those who were unable to finish high school due to deployment in World War II, the Korean War, and the Vietnam War to receive a high school diploma. For veterans of the Vietnam War, between July 3, 1965, and May 15, 1975. Applications can be found atwww.eldoradopublicschools.org or picked up at the Administration Office, 200 West Oak Street, El Dorado. The applying veteran did not have to attend El Dorado schools at the time of their deployment to receive this diploma. Upon review of these documents and certification of eligibility, a diploma will be granted to approved veterans at the El Dorado High School Graduation on May 20, 2019. Applications and documentation must be submitted to the Administration Office by March 15, 2019. 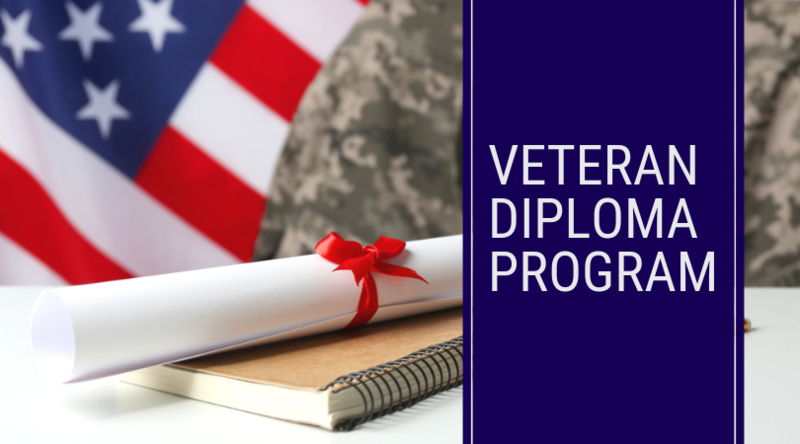 For any questions regarding this Veteran Diploma Program, please contact the Superintendent’s office at (870) 864-5001.